More than 30 per cent of Vancouver police officers have post-traumatic stress disorder according to a study done for the department's police union. 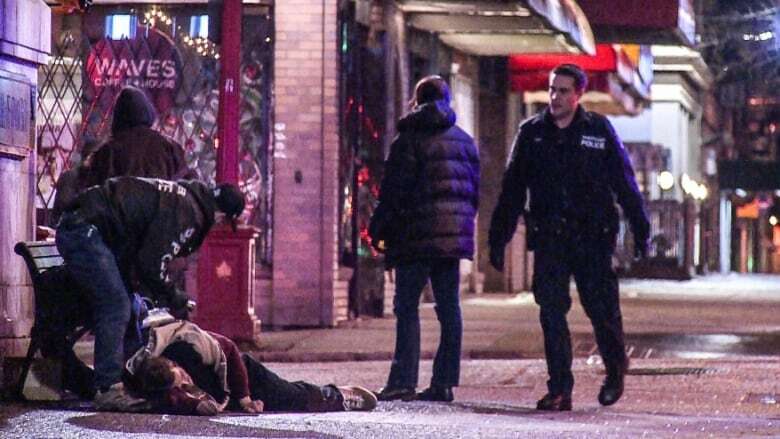 About one in three Vancouver police officers have post-traumatic stress disorder according to a study done for the department's police union. The study, conducted in 2015 by Kwantlen Polytechnic University's Lisa Kitt for the Vancouver Police Union, surveyed officers in the Vancouver Police Department. Finding were presented Thursday at a conference on mental health for first responders at the school's Surrey campus. Kitt, a psychologist, said the results show that police departments must address the mental health issues confronting officers. "They're suffering," Kitt said in an interview. "They're suffering and they want people to know." Kitt said email questionnaires were sent to about 1,100 officers and 765 replied, a participation rate of more than 70 per cent which is considered extraordinarily high for a social sciences study. The report found that approximately 32 per cent of the respondents were in the diagnostic range of PTSD. It also showed that Vancouver officers face moderate to high levels of cynicism and anxiety. She said the post traumatic stress experienced by officers is the result of years of stressful job-related calls, witnessing distressing deaths and repeated violence. "They're emotionally dead," said Kitt, who also treats officers in her private practice. She said others are angry, irritable, jumpy and agitated or depressive and frightened. Many abuse alcohol and drugs and have damaged relationships. "They just can't get those calls out of their head," Kitt said. "They're on a reel and they just going and going." She said the results should be a wake up call for the Vancouver Police department. Kitt said mental health awareness should begin at the recruitment level and treatment should be available to officers throughout their careers. The Vancouver Police Department did not respond to an interview request. Kitt said the study is important because police say they can do their jobs better if they feel better. "You're not getting the kind of police officer you want to have on the street," she said. She added that the findings don't mean officers with PTSD are unsafe, rather they need help coping with symptoms, she said. "They are street social workers."